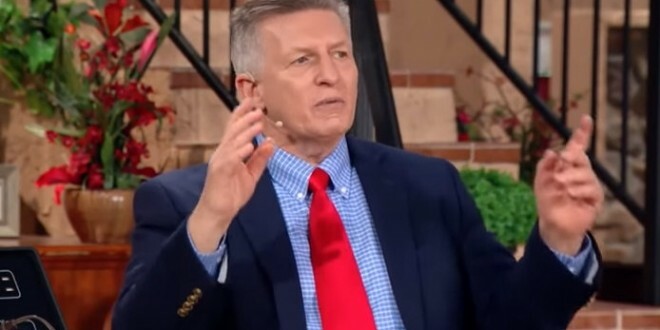 Pastor Rick Wiles: Satan Is Using Pokemon Go To Spawn Demonic Powers To Murder Christians [VIDEO] - Joe.My.God. In the second clip below, the show’s co-host reads a fake quote from Pokemon Go’s creator which they claim endorses Satanism. PREVIOUSLY ON JMG: Rick Wiles declares that the “Nazi freaks at Target” will get American destroyed in a nuclear war. Wiles declares that President Obama ordered the murder of Antonin Scalia as a human sacrifice to pagan fascism. Wiles declares that gay Nazis control America. Wiles renounces US citizenship because Obergefell. Wiles declares that God will destroy the earth with a “fireball from space” because of gay marriage. Wiles declares that God is killing chickens, bees, and pigs because of gay rights. Wiles declares that God sent the California drought because of gay rights. Wiles declares that Russia will nuke the United States because of gay rights. Wiles says God will destroy America and the survivors will be the “slaves of sodomites.” Wiles says ebola could solve “America’s problem with gays and atheists.” Wiles declares that MSNBC viewers are “demon-possessed fans of the anti-Christ.” Wiles declares that God sent a plague of locusts to Egypt because Obama.